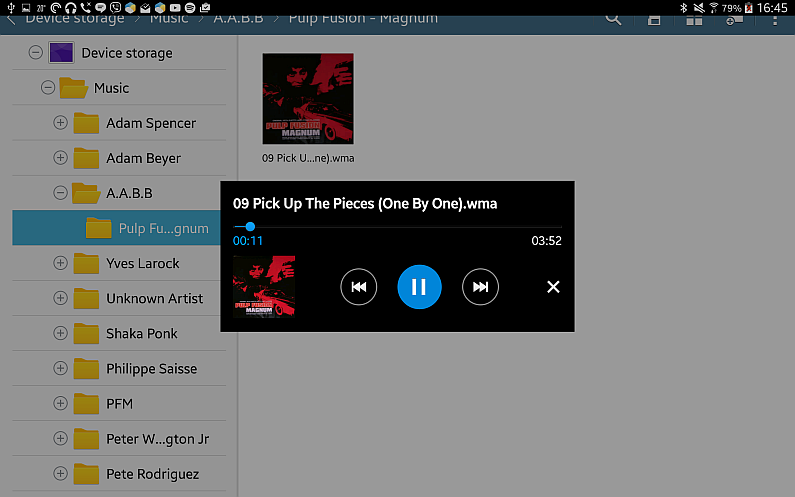 Getting iPhone music to Android is quite understandably not on Apple’s priority list. However, it is pretty easy to get your tracks from any iPhone, iPad and iPod to an Android phone or tablet. Follow this quick guide to transfer iPhone music and videos to any Android device in no time including Samsung Galaxy S7, Galaxy Tab, HTC One and Nexus. Install the program. If you need help installing CopyTrans, please refer to the installation guide. Run CopyTrans and connect the iPhone, iPad, or iPod to the computer. The iDevice tracks list in the main program window. Choose “Manual backup” from the top left side of the main window. Select the iPhone music and videos to copy. To select all tracks, check the box next to the iPhone name. Next, click the “Folder” button. Choose a PC folder where to copy the tracks and hit “OK”. 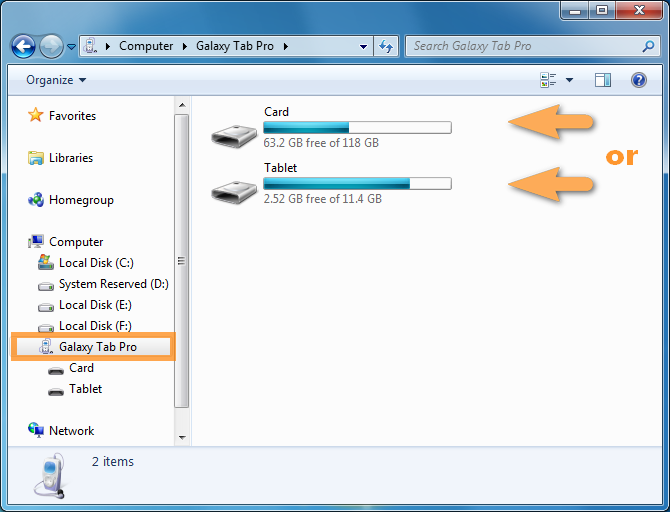 TIP: for easy access, we recommend creating a new folder on the PC Desktop where to transfer the iPhone media. 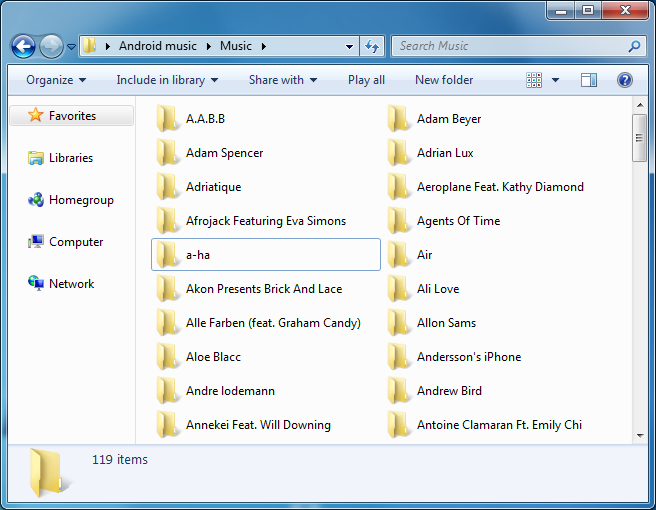 In this case, we created a new folder named “Android music”. From the next popup, click “Start backup”. 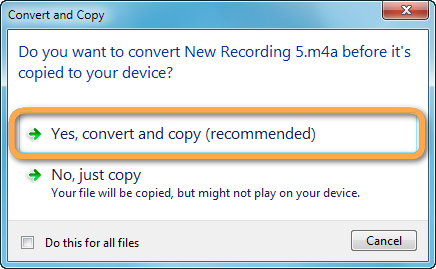 CopyTrans now copies the selected songs and videos to the folder on your PC. Once the backup completes, disconnect the iPhone and close CopyTrans. Open the PC folder where you copied the iPhone tracks. Connect the Android device to the PC and if prompted on the device screen, ensure that the USB connection is set to “Media device”. On the PC, open “My Computer” and double-click on the Android tablet or phone icon. Depending on where you want the music, navigate to the SD Card or Tablet/Phone drive. Double-click on the Music folder. 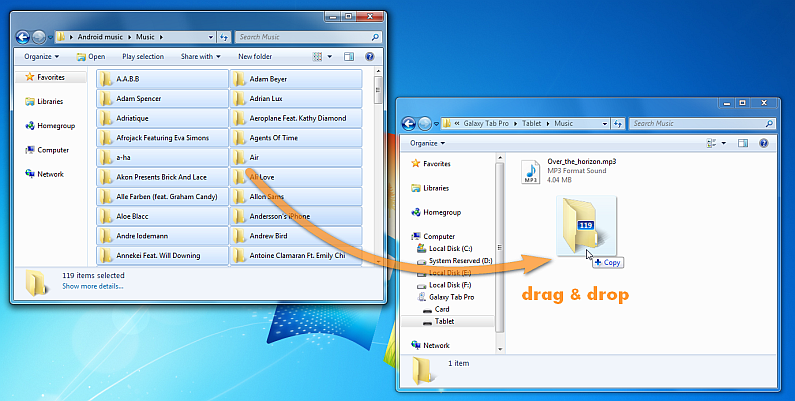 Drag and drop the files from the folder containing your iPhone media to the Android Music folder. If prompted during the transfer, accept to convert media files to Android-readable format. 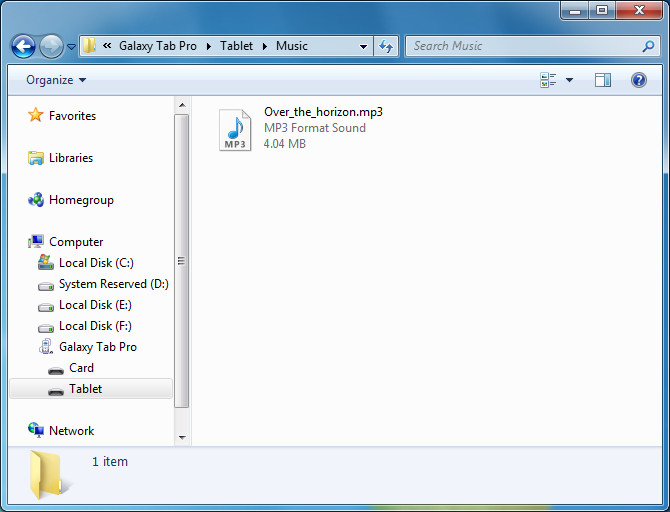 Once the transfer completes, use the touchscreen to navigate to the Music folder. Tap on any track to play it. This is how to transfer music from iPhone, iPad or iPod to any Android device.